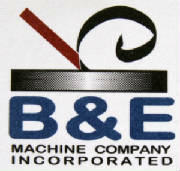 B & E Machine Company, Inc.
B&E Machine Company, Incorporated was established in 1967 by Bill Rich Sr. and his wife, Elizabeth in Clinton, Iowa as a family owned and operated business and continues into the 3rd generation in 2005. Since its' beginning, B&E has enjoyed a continued growth by offering our customers more services and products. 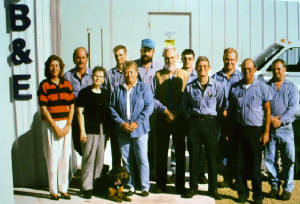 B&E has built its' reputation by offering around-the-clock, dedicated customer service and satisfaction. We provide quality, precision parts, built to order, thorough inspection and prompt delivery...all at competitive pricing. In 1997, we built a new, 20,000 square foot, state-of-the-art machining facility with a climate controlled atmosphere, to our knowledge, the largest in the area. Our CNC machine equipment can produce parts ranging from less than an inch in diameter to ring components more than 24 inches across and shaft work over 110 inches long...all at tolerances within "tenths".